Welcome to Porsche Wichita, where you can expect a car-buying experience that will delight you from the moment you enter our dealership. Here at our Wichita, KS, Porsche dealership, we believe in partaking in the indulgences a new Porsche offers. From performance that gets your pulse racing to an interior that’s refined, elegant and sporty enough to give you an edge, each new Porsche we sell represents the finest in automotive sophistication. Combine the outstanding Porsche models we sell with our extraordinary customer service and host of additional amenities, and you’ll find Porsche Wichita to be the only place you’ll ever want to buy a car. Take a look at our inventory of new Porsche vehicles and you’ll find a selection of sports cars and SUVs created to impress any onlooker. Of course, these fantastic cars weren’t meant to be merely gazed upon — they’re designed to be driven. That’s exactly what you’ll do at our Porsche dealership near Andover, KS. Select your favorite from our collection of top models such as the new Porsche 911 and 718 Boxster, and we’ll take you out for a test-drive right away. If you prefer the kind of spacious luxury that can accommodate a family, you’ll love the new Porsche Macan and Cayenne. We also have a selection of used and Certified Pre-Owned Porsche models, if you prefer something with a few more miles on the odometer. Plus, we can get you behind the wheel of a used car from another top make. Just tell us what you like, and we’ll work with you to find it. From there, you’ll speak with our Porsche financing experts to work out the fine details. Porsche Wichita didn’t become a six-time Porsche Premier Dealer by simply providing our clients with wonderful car-buying experiences, though. We also work hard to maintain our relationship with you long after you drive off our lot. If you require Porsche service or repairs, you can turn to our service center near Hutchinson, KS, and we’ll have you back on the road in no time at all, looking as good as new. We can handle anything from oil changes to tire replacements to transmission repairs and even more extensive bodywork. We’re also your local source for factory-authorized Porsche parts and accessories. Simply let us know what you need, and if we don’t have it, we’ll order it straight away. With a convenient location at 10900 E. 13th Street in Wichita, KS, we’re pleased to serve Wichita and the rest of South Central Kansas including El Dorado, Goddard and Salina. Pay us a visit at your earliest convenience and experience the way luxury car-buying should be! A great place to do business. Honest and fair. I had a wonderful experience with this team and Porsche dealership at Wichita.I was skeptical when I planed to drive from Kansas city to Wichita to look at a car which I liked on there website.We arrived just 2 hours before closing time . After the test drive and review, we decided to buy that car.Tyler who was new salesman was very polite, patient and extremely helpful. Did his best to get the new car ready on a Saturday evening even though it was after hours and the computer system was down.Dave, the manager was extremely insightful, helpful and a thorough professional. He did everything to our satisfaction to get the car ready by the end of the day and followed up promptly next week to resolve a small issues with the car and took care of it.I would definitely come back for my next purchase here and would highly recommend this team and showroom for any Porsche lovers. Came in and looked at GT2 RS with David. This guy knows a lot about these cars. Very friendly and educated group of guys over here. 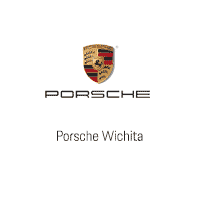 I would highly recommend Porsche Wichita over all other luxury stores. Thank you again David for showing me this car and the other 911.